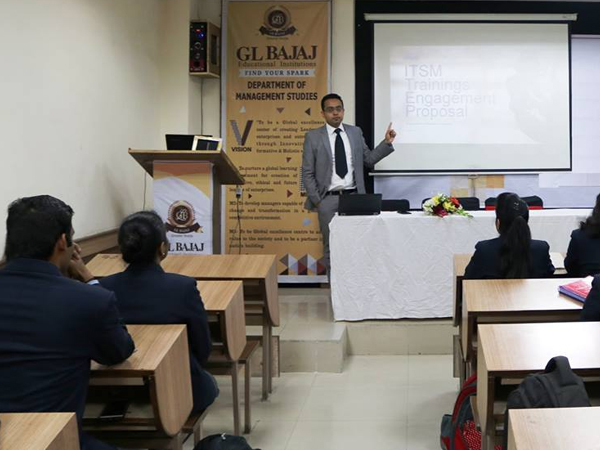 Department of Management Studies, GL Bajaj organized a workshop on 9th february 2018, titled “Significance of Engagement Business Model in Management”. 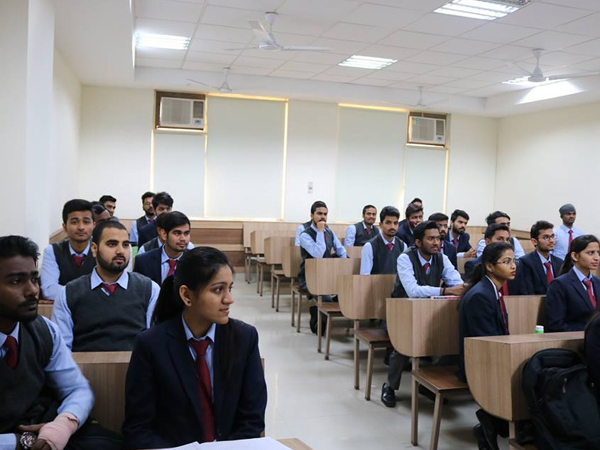 The workshop was conducted by experts in the field from KPMG, Greater Noida and guest speaker for this session was Mr. Nikhil Goel. KPMG, established in India in September 1993, is one of the leading providers of risk, financial & business advisory, tax & regulatory services, internal audit and corporate governace. This workshop enlightened students about engagement business model, its importance and advantages in the current competitive scenario, IT as enabler and the utmost importance to invest in ITSM training.